With the romantic notion of escaping the city at weekends and one day relocating permanently, Nicky and Graham went looking for a bare block of land not far from where Graham grew up. What they hadn’t anticipated was a canny real estate agency showing them an established, 15-year-old olive grove in Mangawhai. Knee-high grass shrouded the trunks and the overgrown trees needed a good prune, but the pull of the land – Graham’s a farm boy at heart – decided their fate. Buying the property in late 2014, the first Two Black Dogs E.V.O.O. (extra virgin olive oil) release – named after their loveable black labradors, Joey and Jett – was in May 2015. The learning curve was fast and steep – the original owner was on hand for advice – and they’ve been winning Olives NZ awards since 2015. During the week they both hold down day jobs, and while Graham oversees the olive grove and production, and Nicky focuses on sales and marketing, at weekends you’ll find them up at the property sharing the mowing – Nicky bought her first pair of gumboots and had to learn to drive the tractor – and maintenance duties. 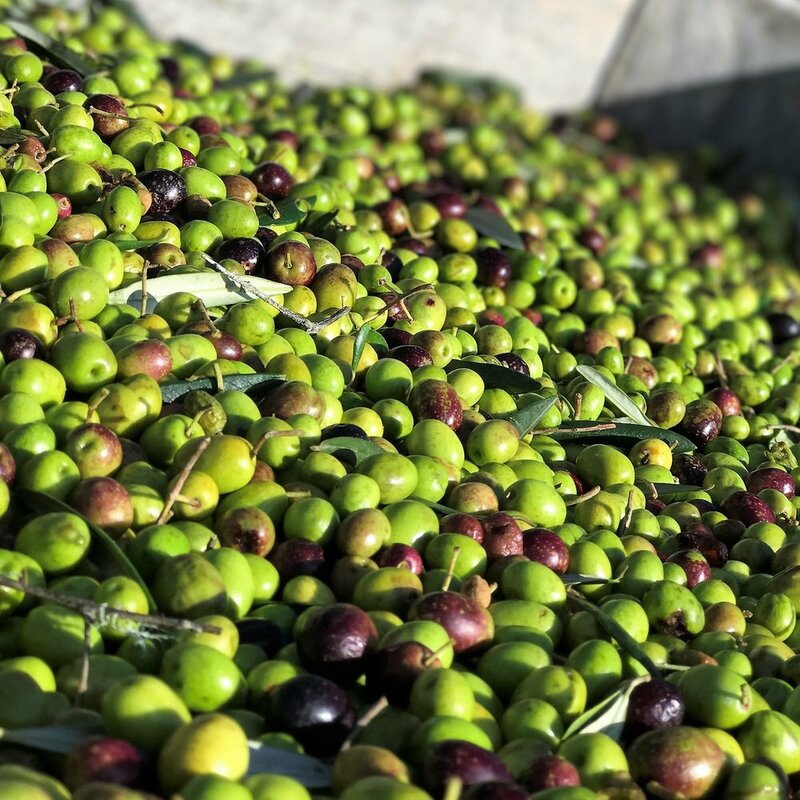 With their 10 acre grove now home to around 800 trees, it’s fortunate that Two Black Dogs’ five varieties of olive trees – Leccino, Ascolano, Koroneiki, Frantoio and Pendolino – all with very distinct flavours, don’t all fruit every year. With a sloping property it’s quite a challenge to manoeuvre machinery, including the infamous ‘tree shaker’ around. The biennial pick and pack takes place – for two or three of the varieties each year – in early autumn. The olives are harvested when blush in colour to get maximum flavour; as olives ripen from green to purple the flavour slowly decreases. The press house is only 30 minutes from the property and it’s processed into oil within hours of the harvest. The oil is stored in stainless steel for six weeks to allow the sediment to separate and sink to the bottom. The oil is then bottled, before sending to Australia for certification. Creating an award-winning artisan product is truly a labour of love. Given it takes around 7kgs of olives to make one litre of oil, it makes sense that extra virgin olive oil is priced at a premium. But don’t save extra virgin olive oil for a special occasion – the fresher the oil, the better the taste – just think about what you’re cooking and the method so that you can savour the flavour. Nicky and Graham plan to extend their range of oils and vinaigrettes and are keen to press their own oil in the future. One day they might even realise their dream of building a house and living at the property too; a 20 foot caravan and workman’s shed are the perfect interim solution. Two Black Dogs award-winning certified extra virgin olive oils are available online – twoblackdogsnz.com or follow them on Facebook or Instagram to find out which local markets you’ll find them at next. Two Black Dogs 2018 release is available from 22 July 2018. Photos: All images supplied by Two Black Dogs E.V.O.O.